For today’s Local Flair Issue, we are joined by the wonderful Monique, owner of LokaLoka Boutique. Passionate about her business, LokaLoka offers “practical bags for women who can afford better“. LokaLoka’s leather bags are simple, understated (but never unstylish) and without a label. You can also personalise your classic leather totes with a Gold or Silver stamp, or opt for Blind Debossing on the vegan bags. Read on to find out more about the brains behind these beauties, as Monique answers all. An insight into Monique and the start of LokaLoka. 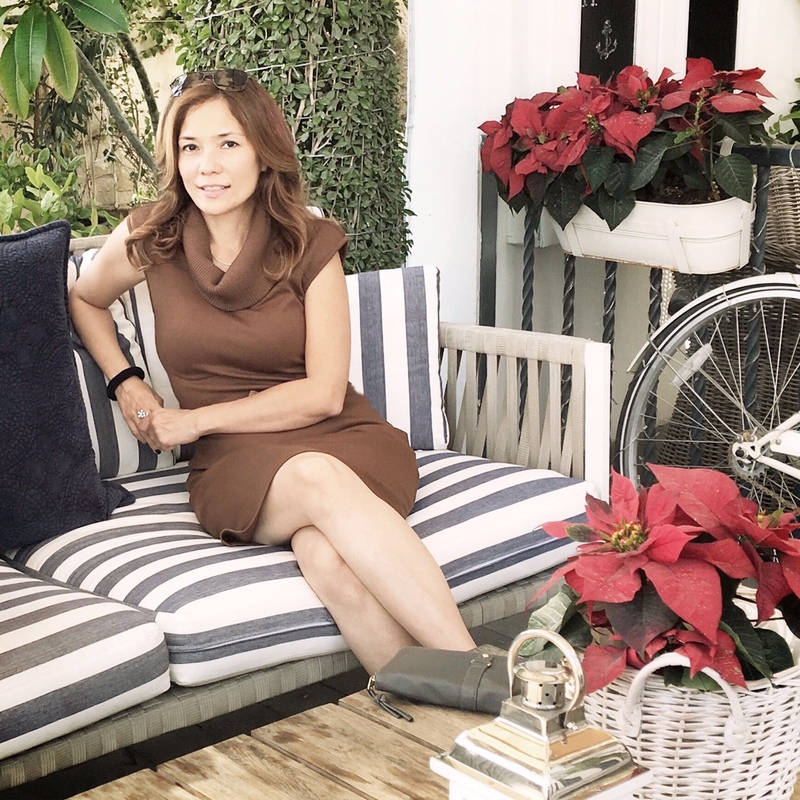 I am who you see on our social media pages. Very simple, happy, grounded, crazy. 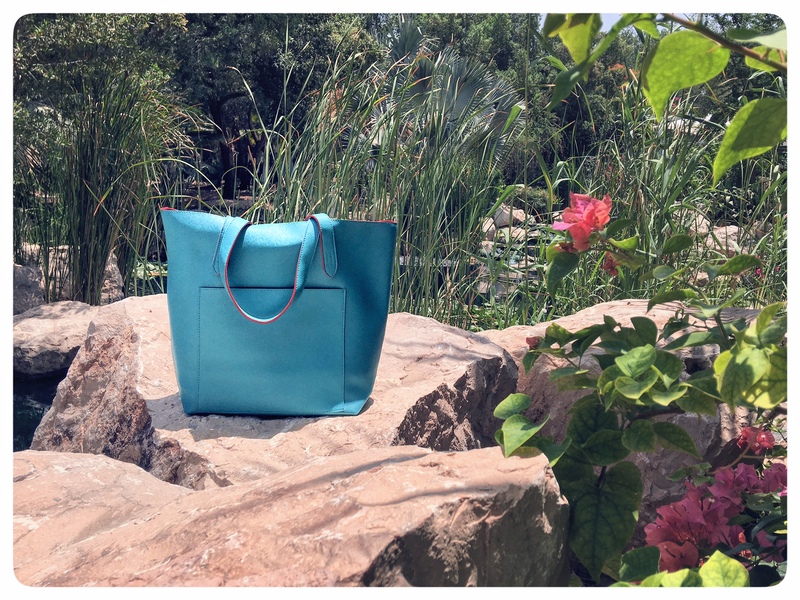 The colours of our bags are a reflection, not just of colours from the runway, but of my present state of mind. Our colours from last year were bold and bright. Since we just started the business I needed to be aggressive and bold with our moves in the market. Now our colors are very earthy because I am now very grounded. LokaLoka was born last year out of my personal need for a simple, basic Tote. I initially ordered for myself but friends kept noticing and requested to buy them. That’s when I knew there is a need to fill. The rational behind the brand and inspiration for the brand name is that women go crazy over bags and/or shoes. We can never have enough of them. When one goes crazy you just don’t care. A LokaLoka lady is someone who is comfortable in their own skin in expressing herself. What’s the most rewarding part of your journey with LokaLoka so far? LokaLoka is here because we are being patronised and we will continue as long as people love us. Seeing happy customers is more than rewarding. It’s what drives us. Sourcing of materials is never easy. However, now I have a supplier that handles all these issues so I can focus on doing the marketing. 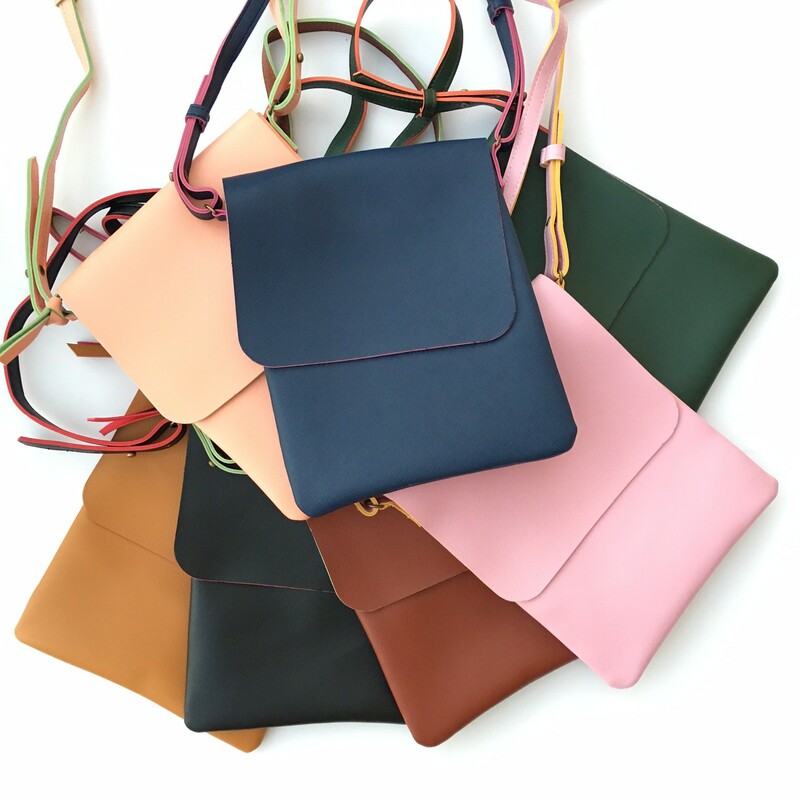 LokaLoka bags use a range of leather. 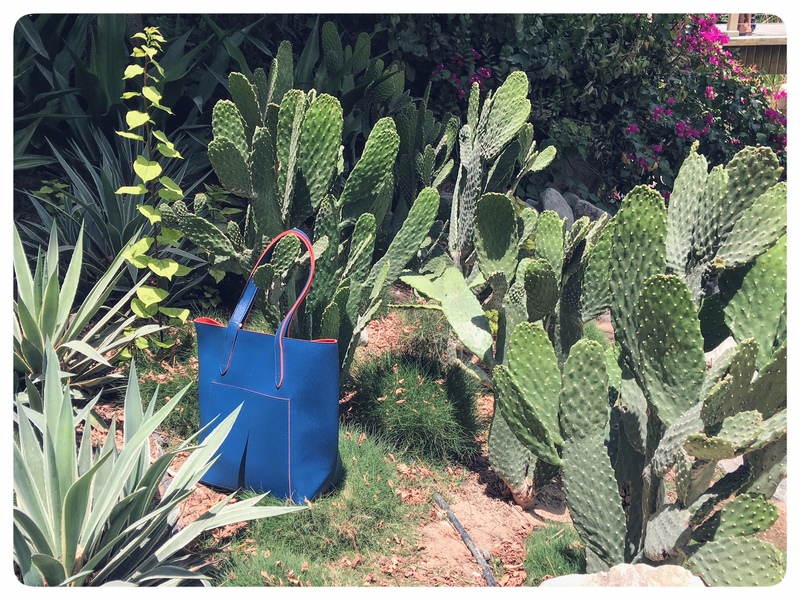 The vegan leather totes are made in the Philippines. We also have camel and cow leather totes that are sourced from all over the world. We accept MTO (Make To Order) from designers with their labels. Every creation is interesting and excites me. We also do collaborations with artists such as the Amira Rahim Urbag Collection, which was a huge success. We have a few other artist collaborations in the pipeline to watch out for. Which bag is the best seller and which is your favourite design? Monica is our bestseller. Monica is me. Very me in all sense of the word. Your bags are named after women. What led you to do this and how do you pick the names for your bags? LokaLoka was born out of passion. It is a reflection of my character and my life. Tarcila is my mom. Myla is my sister. Vanessa is my sister in-law. Isabel (Isabel Totes pictured below) would have been my daughter. How do you feel your designs have evolved since starting LokaLoka, and where do you find new inspiration? Our bags remain very basic and simple but we constantly try to improve on the quality and craftmanship. The quantity per colour are kept to a very minimum to keep it unique but constantly changing. I am very observant. I listen. I care. I draw my inspiration from people and what their needs are, and I try to meet them. What is the unique trait about LokaLoka Totes? Our bags are very staple. What differentiates them from others is that we keep the colors in a very happy tone. A LokaLoka (crazy) person is always happy. Tell me about a day in your life, as the owner of LokaLoka? I start my day instagramming but before I post my own content, I read inspirational quotes from Wayne Dyer, Soulightmovement, Patrick David, Richard Branson, Before5AM and such. Just like our totes, I am very simple. I’m your typical home maker. I am very hands-on. I have my family to attend to first. When I’m done with my chores as a homemaker, that’s when my work hours start. Meetings in the morning followed by dispatching orders. I make sure I am home by 4 pm for my son and to attend to emails. Planning and brainstorming happens while driving, at midnight and in the shower. You have to love what you do so that it will love you back. 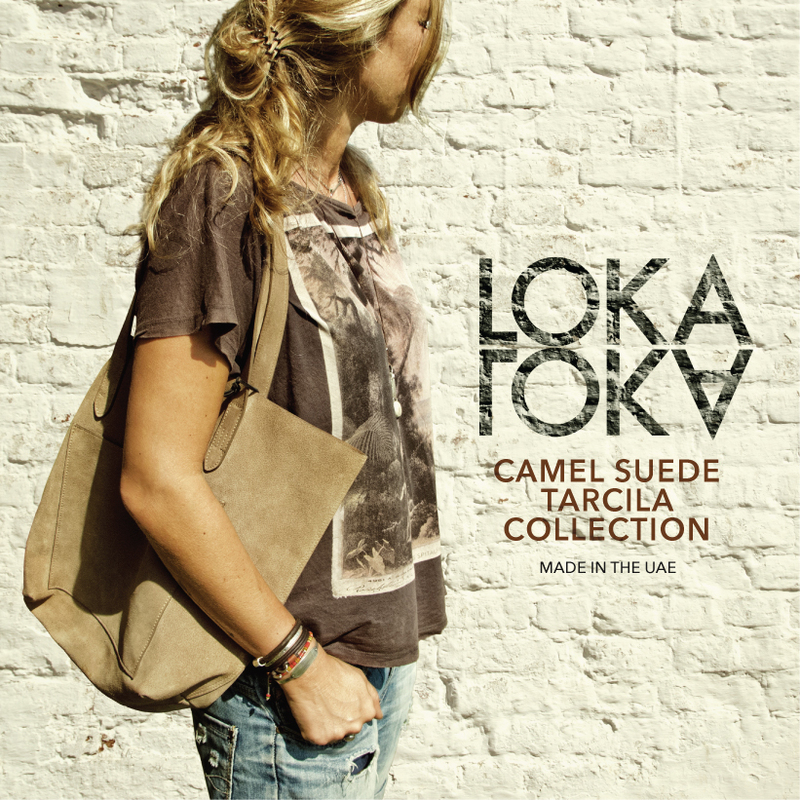 I would love to see a LokaLoka shop of my own in Dubai and have my totes internationally known. Would you ever want to design other accessories/clothes, or are you happy solely designing bags? If our customers want us to design other things then I probably would. Are there any upcoming projects that you would like to share? LOKO is something to watch out for. Monique kindly sent me one of LokaLoka’s Classic Leather Tote in white. It was good to know that the smooth leather is vegan, lightweight yet durable. 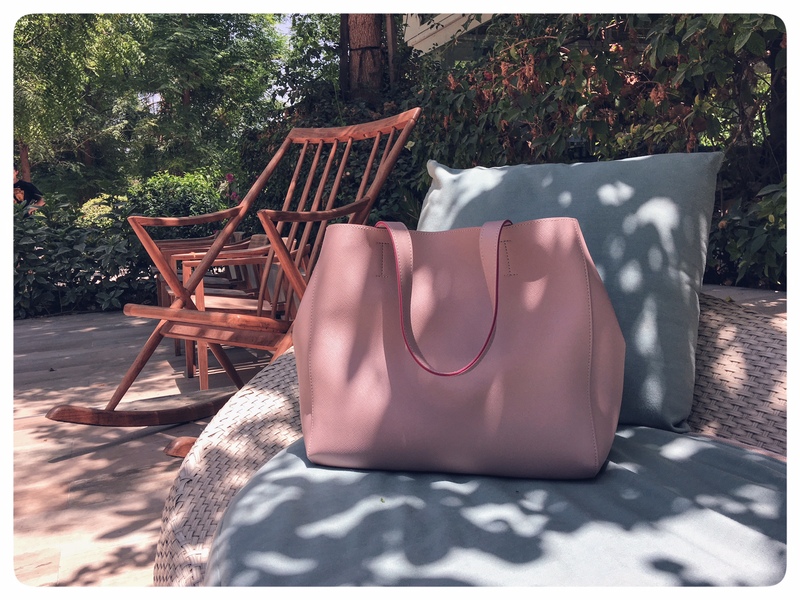 With a 5 inch depth it is perfect as a changing bag, filled with Baby Z’s essentials, as well as holding my must-haves such as my wallet and a lipstick. The size is just right, not too big and bulky to carry around, but not too small and dainty either for an on duty mother of a 2 year old. I love that there is a small zipped section inside the main pouch itself, and both zips have a leather detail. I would love to see more zipped sections in future editions of the LokaLoka bags so that it is easier to grab what you need from the required pouch, but at the same time, I admire the simplicity which the Classic Tote has achieved. The stitching is impeccable, and mine is personalised with a gold stamp, spelling out Mummy On My Mind, which I love! The stamp is a little faint on one of the letters, but still quite clear to spell out over all. I am sure I will be getting much wear out of this Classic LokaLoka. If you are interested in having your own personalised LokaLoka Tote, head on over to their website, or contact Monique through social media as linked below. All photographs in this post are the property of LokaLoka, and have been used by the owner’s permission. I love the simple designs, and the colours are beautiful too! The bags looks comfy and stylish. 👍👍. Love the colours. I loveee the colors! and the leather looks so smooth and comfy! It really is, and I love the earthy colours too!